Locked thread | Replies: 69 (Who? ), Viewed: 376873 times. | Locked by: HystericalParoxysm Reason: Creator doesn't seem to be continuing this project - but can PM me if he returns. #1 27th Jul 2010 at 2:28 AM Last edited by bella3lek4 : 5th Aug 2010 at 10:12 PM. 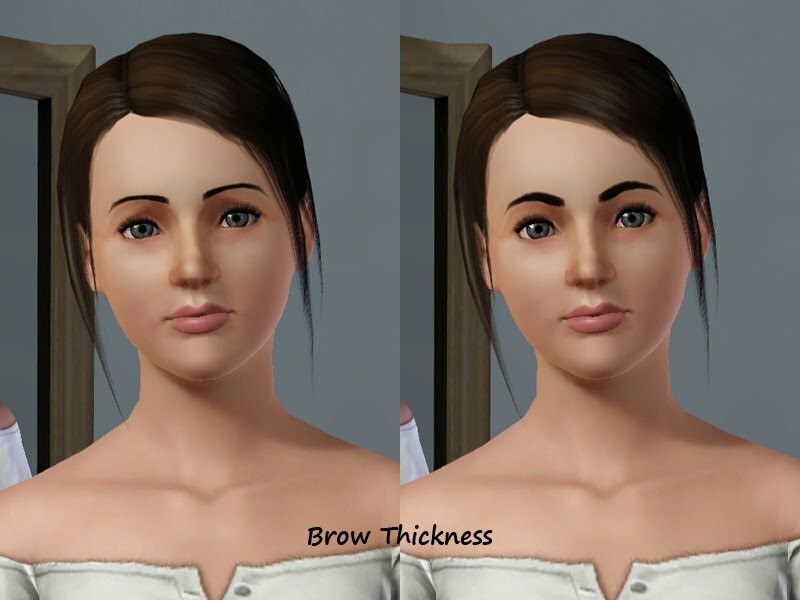 I made these cas sliders a very time ago ... but it had some bugs .. and modthesims rejected it .. 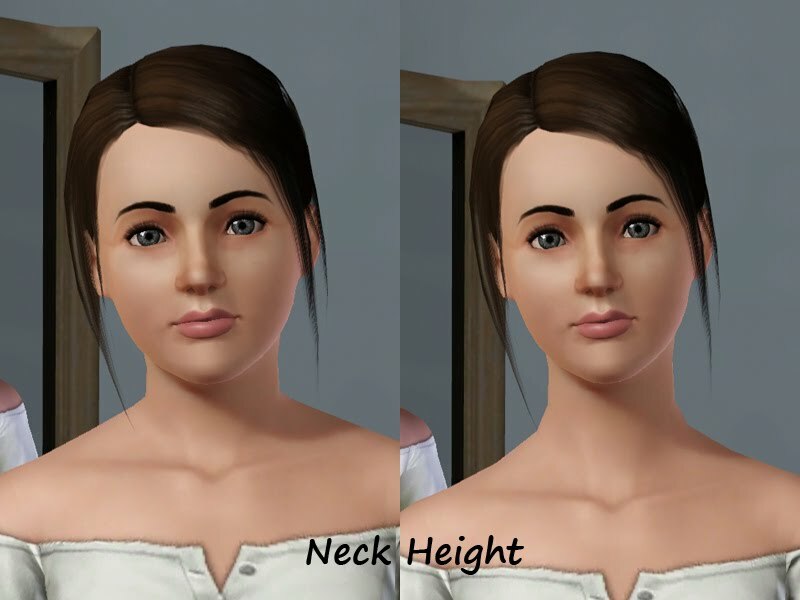 So please .. i want some testers to test these sliders in their games please ..
3. i made 2 new sliders .. uppear and lower lip height ..
4. I fixed some mistakes with the names of the sliders .. Here are some screen shot taken by my friend Candy ! Please test them and correct and tell me if there is any problems or mistakes with them !! Thanks! I love you all ! Sorry for my bad English ^^"
. I am a 20 years old male ..I'm not a Female .. and my name is not Bella .. as everybody think . Lady Frontbum swears by your sliders, and I have an older version of them lying around that I haven't tried, so I guess I will have to try these out now. But by 'now' I mean sometime in the next week because its finals week for summer term, so its really busy this week. What if someone who used the earlier versions, the ones Lady Frontbum and pretty much everybody use, but replace them with these versions? Do they still work? Will their sims get messed up? sliders are a pain.... they always seem to mess things up. 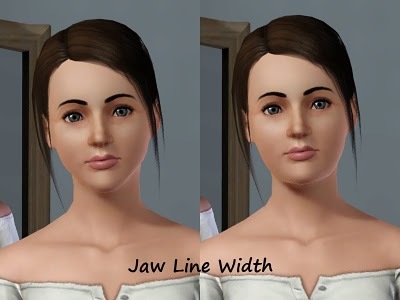 Recently reinstalled a few from Jonha wich prevented me using the default basegame sliders. And i fixed some new things also .. So you don't have your sliders up for download anywhere? I love having extra sliders!! Bella3lek- I love having your sliders in my game! They are very useful! Hopefully you will be able to get them uploaded onto MTS! Bella3lek4- I love having your sliders in my game! They are very useful! Hopefully you will be able to get them uploaded onto MTS! Can you please test them for me ... i want to see if they work fine or not ! You might want to also test the default game sliders after you installed custom ones. Dont pinpoint me on wat i said earlier, could be a mistake on my side. I will put up a few of my sliders for testing. Only put up the bodybuilderslider in the height thread. By the way, I have Ambitions with the 4.2 patch if that info is needed. Actually, even the previous version ran pretty good with any game and patch, so that is good. Hey Ahmad, I love your sliders and use them on all my sims. I have tested this new version in my game and so far everything is compatible. I tested it on my sims and it causes no issues that I can find. I am completely patched and have all EP's and SP. Is everyone using some sort of slider hack when they add these to their games? Usually the reason why base game sliders stop working is because there's a maximum number of sliders the game will allow by default and going past that disables base game sliders. The way to avoid that is to use a slider hack. There's one built into AwesomeMod and there's one floating around here at MTS. Can't remember who made it though, I wanna say Jonha. Anyway, I'm glad to see you've come back to this project, Ahmad! I'll be trying these out for sure and will let you know how it goes! Visit My Sims 3 Blog! I'll definitely test them out. I have your old ones and have been using them for quite some time now, so I'll probably keep those in as well (assuming there are no conflicts) since I'm pretty sure sims made using the old versions would snap back to default if I removed the old versions. I removed the old ones and replaced them with these. I didn't have any features snap back. They seem to be perfectly compatible. WOW! I'M THRILLED! THIS IS ACTUALLY WORKING! Ok I can confirm that these sliders really replace the old ones and take their positions and don't cause sims features to snap back! I've tested them all on my sims because all my sims are using some or all of the sliders! I'm pretty sure no one will experience feature snap backs but if you do please post here for all people to know! Btw I have only base game and latest patch something 14..bla bla..
...T R U S T me, you'll L O V E me !!! Awesome. I willl have to test these tomorrow because I can't play today! BOOOO!! Thank you so much for updating these Ahmad. Hi Ahmad, I have been using your sliders for ages (got them from your friend's site (Candy) and they are great. I have downloaded these and will be using them in my game. Thanks so much for these, they are great. You need a slider hack for all your sliders to work. 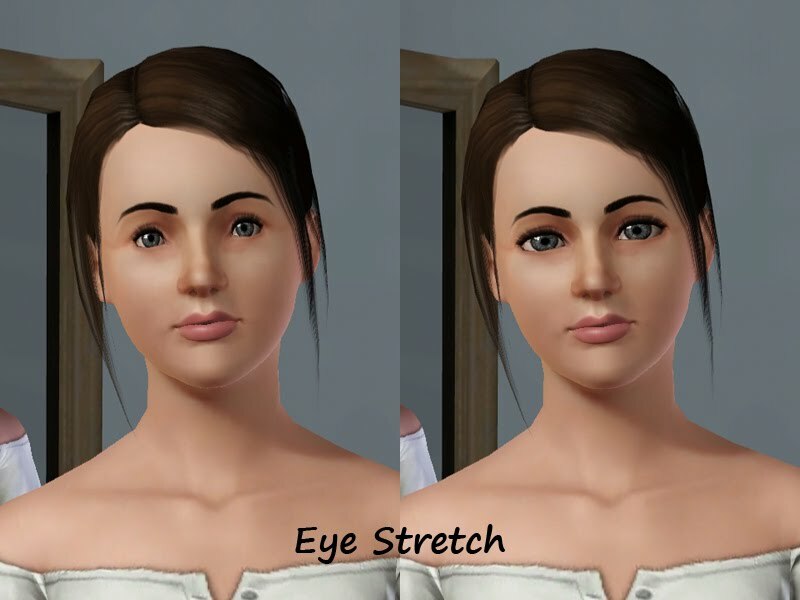 As mentioned in this thread Awesomemod has a built in slider hack, then there is one that Jonha made: http://www.modthesims.info/download.php?t=378416 and lastly AD85 has a mod called Extended Game Core which also has a slider hack (Facial slider count plus a Facial Slider Range) which I use and it works perfectly: http://www.modthesims.info/download.php?t=381046. Just remember that you can only have one core mod in your game. I have all of Jonha's sliders and all of these slider in my game. They all work and the defaults work. I'm just a complete fail at making pretty sims. I'd love to have a pelvic height slider, but I understand the pelvic bone can be a problem. I tested them all in game and I'm having no problems with them. Everything seems to be working normal. Thanks for updating these! Not like they needed updating, but it is still much appreciated! Thank you for theses. I am using your sliders and Jonha sliders except for his calf, neck and chestsize and all sliders are working. I am also using Jonha sliderhack. I have all the expansion packs and stuff pack and I am patched up to the latest patch. This message has been deleted by glennis. This message has been deleted by bella3lek4. Reason: Another Post..
Oh My God! Thank you soooo much Everybody for testing my sliders in your game ! I am really glad that they work fine with no problems ! And thanks for the comments ! i am planing to upload them after i finish from here ! I just need some more requests please ! Also, my friend wants dimples, roflmao. Dx Sounds like it could be done by adjusting the cheek jowls... not sure. Also, is there a way to put the existing ones in the right categories? like lower jaw height in the jaw subsection, and upper and lower lip height in the upper and lower lip sections? Locked thread | Locked by: HystericalParoxysm Reason: Creator doesn't seem to be continuing this project - but can PM me if he returns.